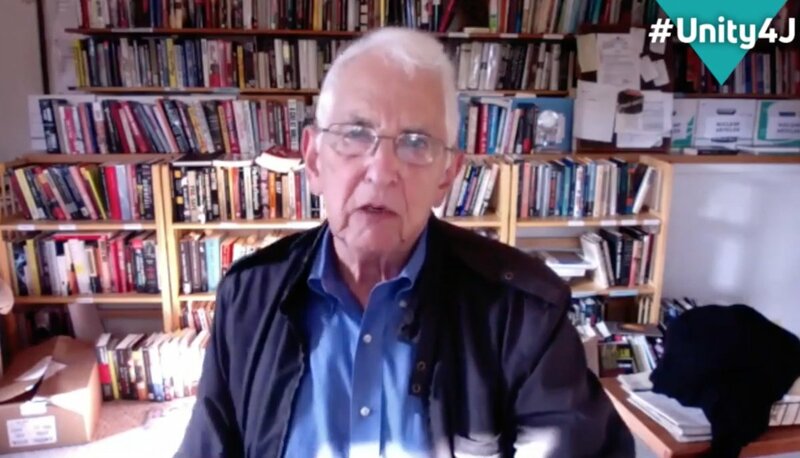 “The purpose is not to protect national security, but to protect the asses of the people who wrote the directives” of classified material, most of which should never have been classified, Ellsberg said. Ellsberg, 87, said that as a publisher and journalist, the Espionage Act cannot be applied to Assange, as it should not have been applied to Ellsberg for non-spying activities when he released the Pentagon Papers revealing that the U.S. government long knew it was losing the Vietnam War but continued lying to the American public. As one who only received classified material and published it, “It is essential that Julian Assange not be indicted, be convicted, or be extradited to the United States,” Ellsberg said.